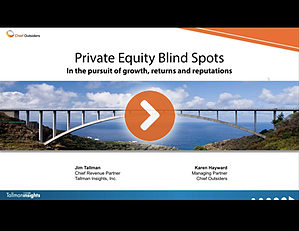 This insightful study identifies seven blind spots evident among private equity firms seeking portfolio company growth. 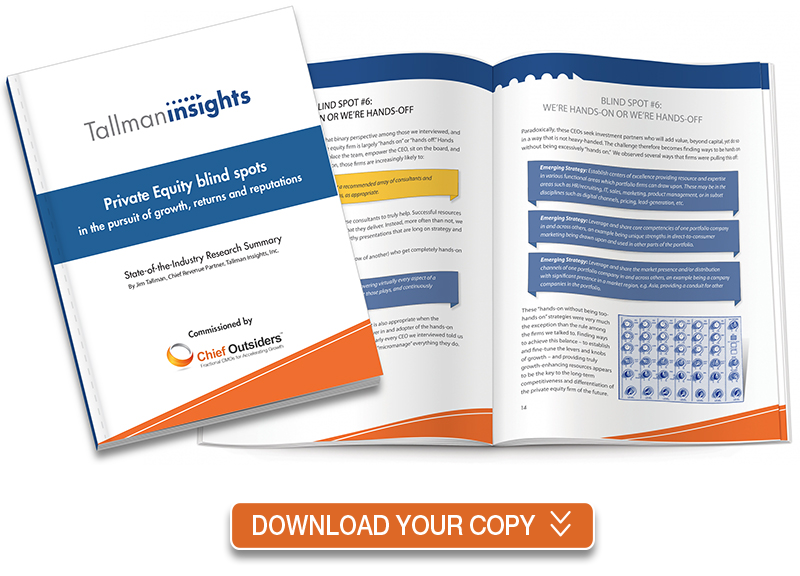 Conducted by customer research and go-to-market integration firm, Tallman Insights, the report recommends thirteen “Emerging Strategies” for PE firms to consider to differentiate themselves, get more competitive and add more value. Download a copy of the 19-page report.